Was Kim's new beauty line a hit? That was her one true hope on Keeping Up with the Kardashians Season 14 Episode 7 when she tried to make sure she did enough marketing before the official launch. Meanwhile, Kourtney tried to find a new and positive attitude after growing tired of what happened between her and Scott. 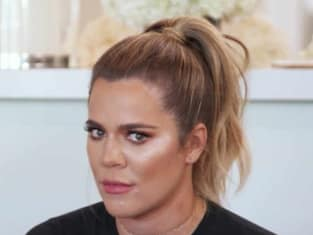 Also, Khloe tried to make arrangements as Tristan got ready to move to LA. Use the video above to watch Keeping Up with the Kardashians online right here via TV Fanatic. Get up to speed with the latest drama for the family. The quality of your life is the quality of your relationships. It’s a quote. Permalink: The quality of your life is the quality of your relationships. It’s a quote. It’s funny to realize how fake you really are. Permalink: It’s funny to realize how fake you really are.